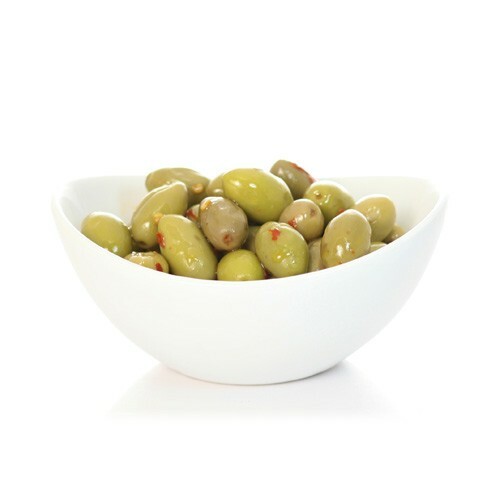 These tiny green olives are marinated in extra virgin olive oil with garlic and crushed red pepper. These olives are spicy. Serve as an appetizer or as an hors d'euvre.